Our team is composed of students from the Faculties of Science, Engineering, Commerce, and Humanities at McMaster University, spanning from Levels II to V. The students have very broad areas of study ranging from Medical Physics, to Electrical Engineering to Mechatronics and many more! Each student brings their own unique skillset to the team. All members of the McMaster NEUDOSE project are a part of one of the eight integral teams that all contribute to the satellite in a vital way. Click to find out more about the members of each team! Motivation: Space exploration is an ongoing adventure that captivates our imagination resulting in scientific and technological breakthroughs that benefit all of humanity. Currently, space programmes are shifting from government-driven strategies to commercial-driven initiatives with a common long term goal of sending humans to Mars and beyond. This means access to space is becoming cheaper and more frequent. However, one the biggest threats to any manned space exploration mission remains the harsh radiation environment and its health effects on astronauts. The NEUDOSE mission concept grew out of the need to developed advanced radiation dosimeters that lower the risk of deep space mission by providing superior radiation exposure monitoring. McMaster University is one of the world’s foremost institutions on health effects from radiation exposure and is ideally suited to address this challenge. NEUDOSE is the first of many CubeSat missions from McMaster University that will test advanced radiation monitoring technologies and train the next generation of Canadian scientists. This is a good time to like space! Science/Engineering Interests: My interests include detection of trace elements using Polarized Energy Dispersive X-Ray Fluorescence (Polarized EDXRF), compositional analysis of tissue samples using Energy Dispersive X-Ray Diffraction (EDXRD), and designing and building a combination polarized EDXRF and EDXRD system for classifying diseased tissues. Other interests include radiation detector instrumentation design, machine learning for physics applications, and medical equipment design. Motivation: I have always had an interest in space exploration and with recent developments trending towards the commercialization of space, the field is rapidly growing. I find the design constraints on engineering a space ready system intriguing, and I enjoy the challenge they provide. Motivation: I find the physical exploration of space to be absolutely fascinating. We are constantly pushing the boundaries by venturing deeper into our solar system, unlocking its mysteries along the way. In this effort, we have made a commitment to send humans far beyond the reaches of Earth, but are limited due to the increased exposures to harmful radiation. Being a part of NEUDOSE is the perfect opportunity for me as I am able to learn more about this interesting challenge, as well as obtain hands on experience in the development of satellites. This project is an excellent stepping stone in my pursuit of a career in the space industry. Science/Engineering Interests: I'm interested in research in current fronts of physics to further advance our understanding of the universe in order to better society. Specifically I hope to specialize in nuclear physics, focusing on the future in fusion processes as well as solar power technology. With any hope I can work on future solar technologies that will have increased efficiencies, making a sustainable world more attainable. Motivation: My very first interests in science and engineering were sparked by the cosmos and space exploration. I joined NEUDOSE so I could drive my passions in order to assist the team gather information which could further advance the frontier. Getting my hands on an electrical system this early in my education is a great opportunity to learn more about solar power as well as integrated sciences that are applicative in the industry as well as the research sector. Science/Engineering Interests: I am interested in biology - specifically, human anatomy and human pathology. More recently, I have discovered the fields of medical physics and Nuclear medicine. They represent important aspects of modern medicine and illustrate key applications of the understanding of how particles interact with human tissue. Motivation: I joined the team because of my deep fascination for, and love of, space. Growing up, I always enjoyed science fiction and the idea of space exploration. I've long wanted to contribute to Canada's space initiative and this team affords me the opportunity to do just that. Science/Engineering Interests: My interests lie in space exploration, and the seamless integration of technology to better every day life. I hope to work in the space sector to allow us to explore our cosmos and better understand our place in space. Motivation: The stars have always been a great mystery to me, one that brings about feelings of grave fear and intense happiness. I decided from a young age, I wanted to explore the stars rather than hide from them. Instead of dreaming of becoming an astronaut (since heights are one fear I cannot overcome), I dream to develop and work on space missions to further human reach into space. McMaster NEUDOSE offers the unique opportunity to be a member of a team of students working to send an instrument into space and contribute to scientific research. Science/Engineering Interests: I am interested in researching bio-compatible robotic prosthetics using my knowledge of nano and micro device fabrication and machine learning. I am also interested in the practical applications of machine learning in physics, as I feel this is an area of study that holds much potential for solving complex physical problems. Motivation: I've always admired engineers and scientists who work on space related research, as many technological advancements we use every day can be traced back to a space program that built it first. Additionally, one of my personal motivators for studying Engineering Physics in the first place was Carl Sagan. His Cosmos series inspired me to pursue some kind of study of how the universe works, and I arrived at physics as the best option for me. As a result, I felt it only made sense to work on a satellite as a small tribute to the man who got me started in science in the first place. Motivation: I've always been fascinated by space exploration and joining NEUDOSE is a great opportunity to be a part of building a satellite that will one day orbit the Earth. I am also looking forward to learning more about all the engineering work required to make sure a system functions as expected under extreme conditions. Motivation: I wanted to join the team to learn more about low level coding, PCB/hardware designing, and I have a general interest in space and astronomy. Motivation: McMaster NEUDOSE is the only club on campus I have ever joined. The space industry seems like a far-away unreachable land for most people, regardless of how close your industry may seem relative to it. I was amazed that I was able to become involved with a project that actually involves putting a satellite into orbit. That alone was enough for me to get involved and stay involved. Science/Engineering Interests: Advancements in Space Exploration and Health Care, Embedded Systems Design, AI and Machine Learning, FPGAs, Biomedical Engineering, Pedagogy, and Social Psychology. Motivation: NEUDOSE provides an intersection between my passion for computer engineering and scientific research in biochemistry. The common admiration for space exploration, a fast paced learning environment, and a strong work ethic of team attracted me to NEUDOSE immediately. I joined the team to apply my knowledge outside of the classroom and contribute in launching McMaster's first ever satellite into orbit. It's an honour to be given the opportunity to work and learn alongside bright-minded individuals that want to push the Canadian space initiative to the forefront! Science/Engineering Interests: I am incredibly interested in space exploration and the multitude of new perspectives it offers. I seek to understand the world around us; everything from computer science that drives our technologies to the biophysical mechanisms which drive each and every one of us. I hope to further my understanding of our universe through the study of space and our place within it through the study of biophysics. Motivation: I hope to one day aid in furthering human presence in space and increasing our understanding of what lies beyond our Earth. This team provides an incredible experience to begin pursuing these passions, especially in its integration of many different disciplines. It also offers an incredible opportunity to gain more knowledge of varying technical elements, an aspect of our world I long to better understand. Science/Engineering Interests: Control systems, teleoperation control, robotics, embedded systems, design optimization and avionics in general. During the summer of 2014 I worked as a Research Assistant and have continued to volunteer up until the present time. During that time I was involved in the Aerial Robotics Project and the Adaptive Energy Management Systems Project. The scope of the A-EMS project is to create a system that can control micro grids in a more efficient manner by optimizing renewable energy sources such as wind and solar power (a smart micro grid). The purpose of the Aerial Robotics Project is to interface an aerial and land based robot which will work as one unit or separately. Motivation: A few years ago I hit a crossroads in my life; whether to continue the path I chose in the construction field as a construction technician and perhaps pursue becoming a Civil Engineer. However, instead I chose to pursue an education at McMaster University and study Electrical Engineering. My motivation for choosing to pursue a Bachelors of Engineering was my dream to work in the aerospace industry, specifically avionics. That dream has not subsided in the slightest, in fact I am more motivated now than ever. I hope to pursue my research interests by continuing my education through graduate studies at an ivy league school such as Massachusetts Institute of Technology or Stanford University. Science/Engineering Interests: Microwave and millimeter wave hardware design for detection radar and imaging. Primarily interested in pulse radar systems and frequency sweep radar systems used in concealed weapons detection, non-destructive testing and human tissue imaging. Also interested in RF Antenna design and communication systems. Motivation: Science, engineering and the desire to create/do the unthinkable have been the driving factors behind my studies. The hope is that one day I will contribute to the frontier of deep space exploration and better humanity in the process. 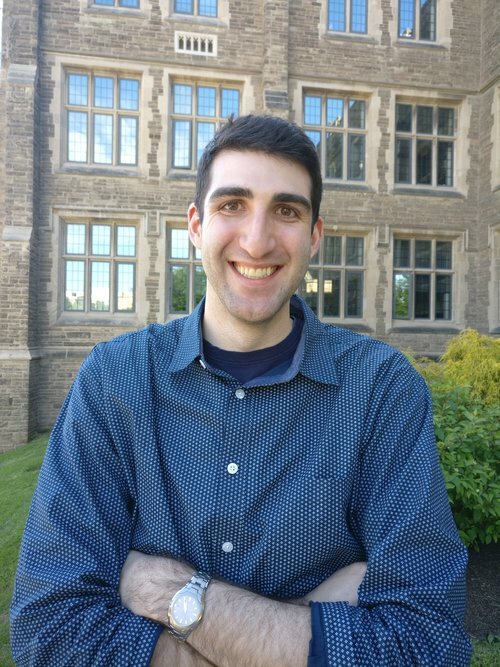 The NEUDOSE team at McMaster provides a great opportunity to apply my research knowledge and contribute to the engineering community, while also providing valuable experiences, playing a critical part in my development as an engineer. Motivation: The NEUDOSE project offers an amazing opportunity to contribute to space exploration and space research. The team also offers engineering perspective and design experience for a future career. Science/Engineering Interests: Antenna Design, Microwave imagingMotivation: Trying to communicate with a small metal box 1000 km up in the sky with a shoestring budget is a challenge that interests me. Science/Engineering Interests: From the large-scale structure of the universe to subatomic particles and everything in between. Motivation: The challenge of putting a CubeSat into space, as well as the potential ramifications of the research that would result from the data collected, all intrigued me. Science/Engineering Interests: The exploration of our Universe, the use of data obtained from missions in space to validate new scientific theories and concepts, sustainable systems to support life outside of earth's orbit. Motivation: I've always loved space. There is so much out there to explore, and so many opportunities awaiting us among the stars. I hope that through my experience with MIST I am able to develop my technical skills and create networks that will help me to advance my career in the space industry. I am also very excited to aid in research that will get us closer to sustainable life outside of earth. Science/Engineering Interests: I am very interested in the advancement of science and technology, and the opportunity it presents to work on exciting cutting edge projects. I am mostly interested in the technology of computers, specifically software. I enjoy working with computer software and seeing my work come together in a finished product. Motivation: I am interested in space and the future of space travel. The opportunity to be part of a team working on a satellite will be a good way to apply my learning to a tangible project and gain valuable skills, while working on something that I will enjoy being a part of. Motivation: I wanted to be a part of a team that would combine my interests in computer systems technology and space to create something to be proud of, and that's what the team at NEUDOSE is doing. The information the team gathers can potentially help the many people who choose to take flight into space in the future, whether it be through space tourism or becoming an interplanetary species. I hope to gain the tools to help me succeed in the engineering industry through working on the project and from my peers by the time I graduate. Motivation: I want to be able to say I helped with launching a satellite into space. Motivation: My motivation is to work on this Fantastic space project and meet passionate individuals. And It’s cool to build a satellite! Science/Engineering Interests: I'm interested in learning more about the wonders of the universe, as well as space exploration. It's my hope to specialize in Aerospace engineering and work on satellites after I graduate. Motivation: The McMaster NEUDOSE project provides great experience in many engineering principles, as well as the opportunity to contribute to research that will have a positive impact on space exploration for the future. Science/Engineering Interests: I am interested in robotics and space robotics is something I like to follow and learn about. Artificial intelligence and machine learning are very interesting fields for me. I believe both fields are very important for building autonomous robots that will help us to have an efficient life in the future, and explore space better. Through NEUDOSE, I will try to learn more about hardware designs of robots, especially learning more about the programmable chips. I am also interested in renewable energies and micro-grid systems. Self-charging devices that use solar panels are something I like to build and learn about. Therefore being part of NEUDOSE and through my studies, I hope that I can specialize in renewable energy for building smart cities. Motivation: NEUDOSE's goal of launching McMaster's first ever satellite is very unique, and the idea of analyzing the space radiation is very intelligent. It is very motivating to be part of this team, there are many benefits of launching this satellite. The team is very well-established and everybody is working effectively; because of that I believe being part of this team will help me expand my experience and knowledge related to space and electronics. I also find being a member of NEUDOSE team as a great opportunity to contribute to Canada's success in space exploration. Science/Engineering Interests: Software Design, Hardware Design, Space Technology, Electronics, Robotics and Electromagnetic Devices. Motivation: Since childhood, I was interested in electrical engineering, and I am very fascinated by the emerging technology that is benefiting millions of people around the world. I am also very interested in designing and creating these smart products that can change peoples’ lives. My main two objectives are learning more about hardware designs of complex systems, and gaining more hands on experience that is not provided for me at this stage of my academics. On NEUDOSE, I am surrounded by a talented team that can increase my knowledge and shape me to become a successful engineer in the future. I believe that NEDUOSE is a good opportunity for me to tackle real life challenges and explore new engineering fields. 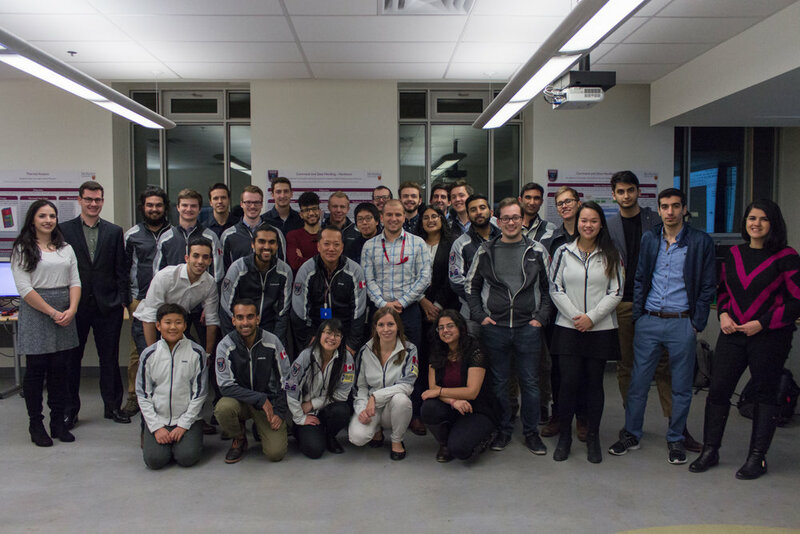 Being part of a team that will launch the first ever McMaster satellite is very motivating, this project is just like a piece of art that everybody will remember in the future. Motivation: I wanted to contribute to one of the driving forces that's helping Canada establish its presence in the space industry. NEUDOSE offers a very unique experience for its members to both apply knowledge gained through academia and to leave with newfound wisdom. I myself on the other end, hope to do a little exploring with the thoughts of pursuing research and academia in the future. In my time here, I aim to develop technical skills that will allow me to gain valuable project experience, and impart the knowledge I have to others. And in doing so, ultimately help play my part in Canada's role in space research and exploration. Science/Engineering Interests: Autonomous & electric vehicles, control systems, embedded systems, robotics, machine learning, and renewable energies. Motivation: I've always had a deep interest in space since I was a child, so once I found out the McMaster had a team that would be launching a satellite, I knew that I had to apply. The fact that I can work on the satellite, then see my work go into production and eventually be part of what launches and makes the satellite function is something that entices me to work hard on this project. Another thing that drew me to NEUDOSE was seeing the talented team in the general lectures. I knew that I would be surrounded by an intelligent group of people who I could learn a lot of practical skills from. Science/Engineering Interests: I am really interested in Hardware Engineering and how it applies to space travel. I want to develop reliable electrical systems and learn about space travel. I am interested in robotics and FPGA development specifically in the field of ASIC design. Motivation: I think that by joining the team I am able to expand my knowledge of space travel as well as hardware engineering. Working under experienced mentors I am able to learn a lot and hopefully contribute to a system that will eventually be sent to space. Motivation: Very interested in picking up technical skills in the field, excited for the challenge, and thought that working in a team that's really motivated in a cool project within my interests would be wonderful. Space is really neat.